WASHINGTON, D.C. (March 5, 2019) – The National Association of Black Journalists (NABJ) is concerned about the lack of black representation within the ranks of CNN’s executive news managers and direct reports to CNN President Jeff Zucker. This concern, coupled with Zucker’s refusal to meet with a four-person NABJ delegation, has prompted NABJ to place CNN on a special media monitoring list. NABJ received a communication from CNN disputing only one of our research points, saying the assertion that there are not any black vice presidents on the news side is inaccurate. However, when asked to provide the name and position of the individual or individuals involved on the editorial side of news, CNN has yet to provide specifics. In addition to special media monitoring activities and the civil rights audit, NABJ’s next steps involve further engaging with CNN’s parent company, AT&T, which has responded positively to outreach efforts and previously agreed to meet with NABJ. NABJ's delegates are already engaged in very positive outreach with several other media companies and have met or have scheduled meetings with Fox, CBS, NBC and ABC. 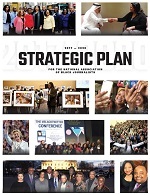 NABJ believes those companies see the value in such meetings and appreciates the respect those companies are showing for the positive intent of our efforts. 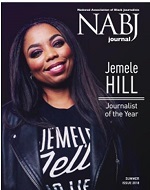 The NABJ four-person delegation has attended previous meetings with other media companies. The delegation requesting a meeting with Zucker includes President Sarah Glover, Vice President-Digital Roland Martin, Vice President- Broadcast Dorothy Tucker and Executive Director Drew Berry. Zucker’s refusal to meet with the full delegation is based on a personal issue between CNN and NABJ’s Vice President-Digital Roland Martin. The issue stems from Martin’s participation in a 2016 town hall meeting with Democratic presidential candidates Hillary Clinton and Bernie Sanders. Previously, former Democratic National Committee Chair Donna Brazile admitted, according to a Time essay, she inadvertently disclosed a town hall topic to the Clinton campaign that was part of Martin’s research inquiry for the town hall. NABJ’s request to meet was and is focused solely on CNN’s diversity efforts, its results and our strategic priorities as an organization.